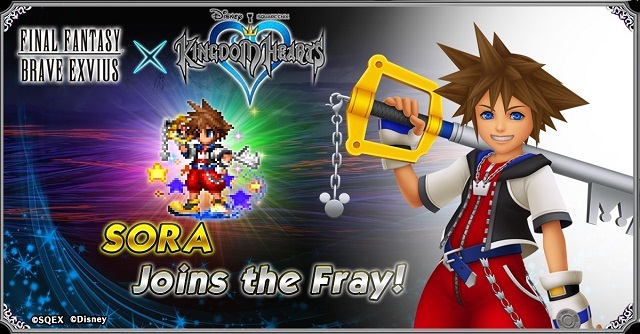 Kingdom Hearts III features a mature Sora as the main protagonist who sets forth on an adventure with Mickey, Donald, and Goofy through new and legendary Disney worlds. 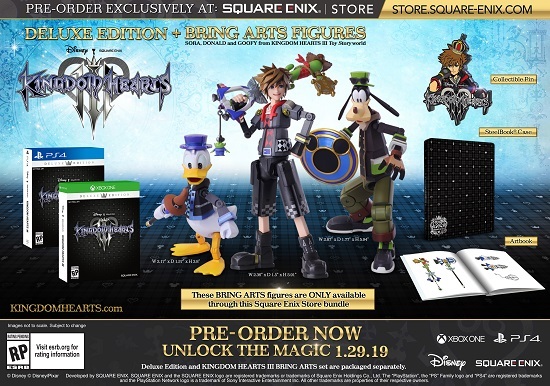 1/29/2019: Kingdom Hearts III is now available on PS4 and Xbox One. 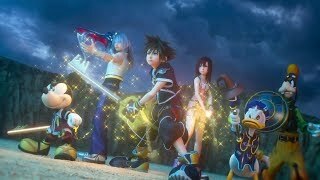 1/18/2019: The opening theme song for Kingdom Hearts III is now available. 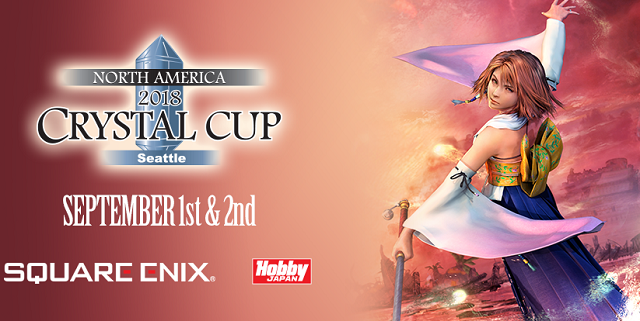 12/28/2018: Sora and Cloud from Kingdom Hearts are joining Final Fantasy Brave Exvius for a limited time. 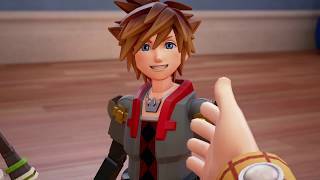 9/26/2018: An all-star cast will be giving voice to the characters in Kingdom Hearts III. 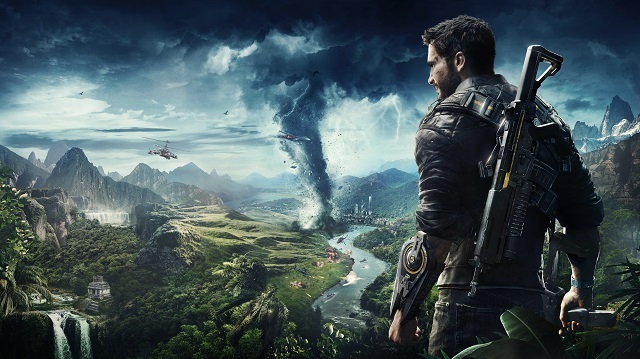 8/23/2018: Square Enix will be hosting gameplay demos, giveaways, panels, and parties at PAX West 2018. 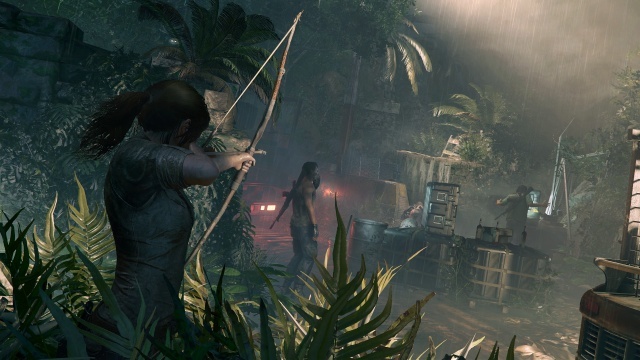 7/12/2018: A Shadow of the Tomb Raider panel and off-site experience highlight Square Enix's plans for Comic-Con 2018. 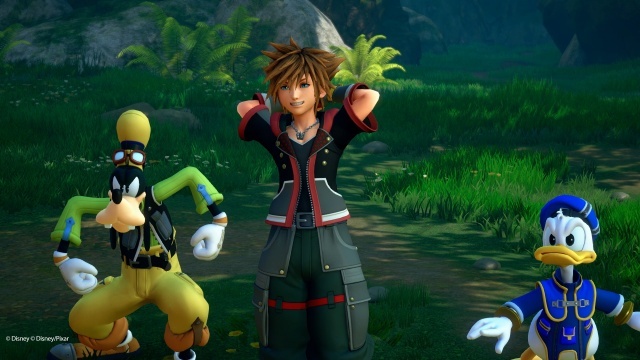 6/11/2018: Kingdom Hearts III is set to launch on PS4 and Xbox One on January 29th. 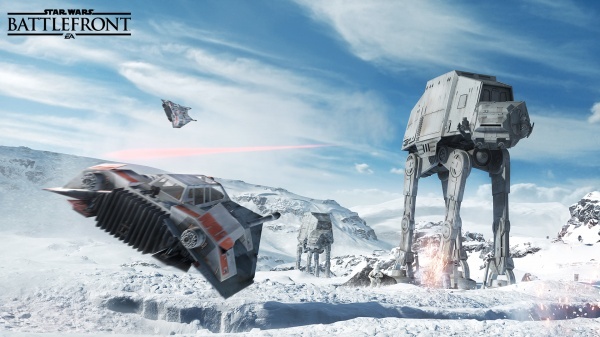 7/13/2015: Disney Infinity 3.0, Star Wars Battlefront, and Kingdom Hearts III will be all featured at the 2015 edition of D23.